I can remember when I was a little girl, I could not wait until it would snow. I wasn’t much interested in building snowmen, but I loved having a good snowball fight & I loved to build snow forts, huts and igloos. 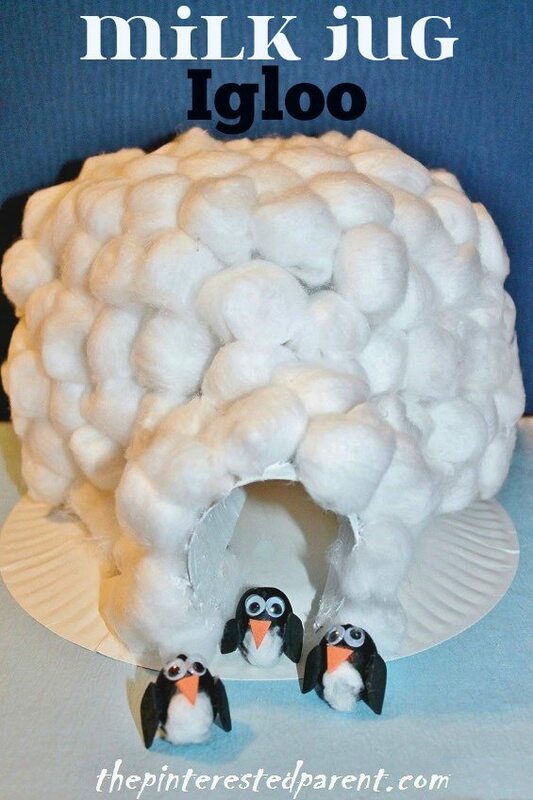 The snow is hopefully still a little ways away, but I was thinking of my igloo adventures the other day. 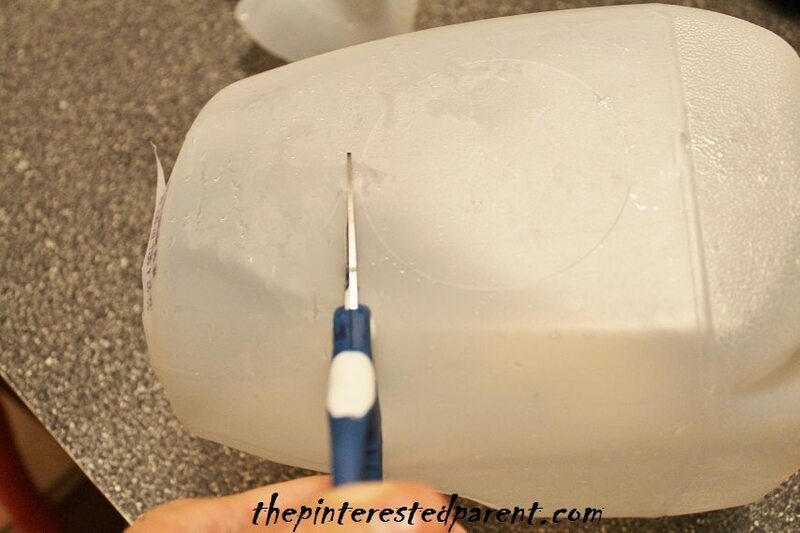 I had an idea for an igloo craft using an old milk jug. 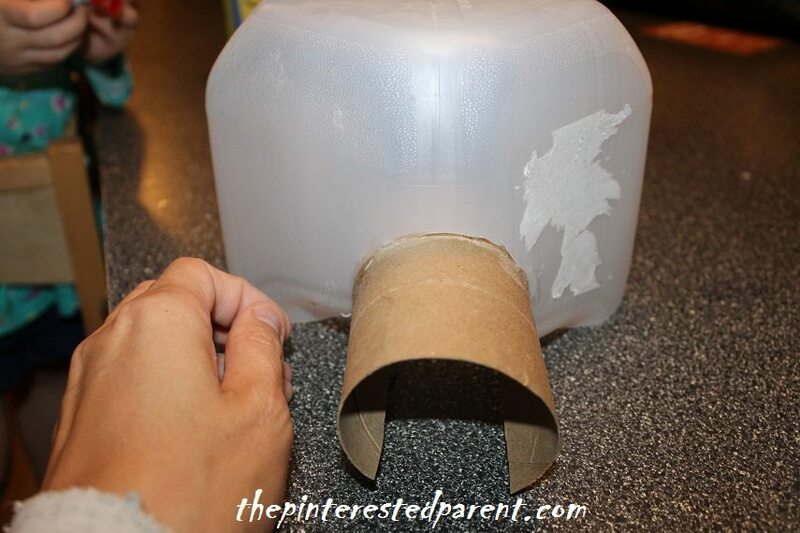 Rinse & dry a milk or juice jug. Cut the jug under the handle. Cut a toilet paper roll up the middle lengthwise. Paint it in white & let it dry. (I made the mistake of not doing this until after I assembled my igloo.) 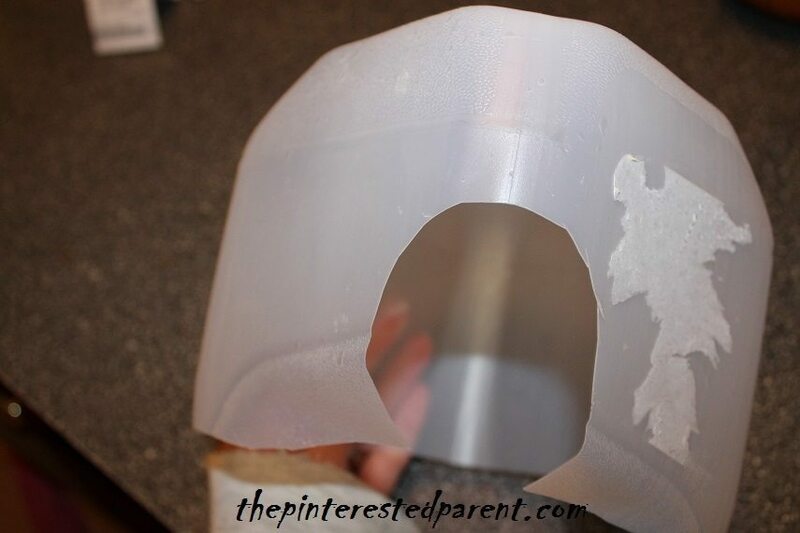 Put a line of hot glue onto the toilet paper tube. Let it slightly cool & then press it into the opening. 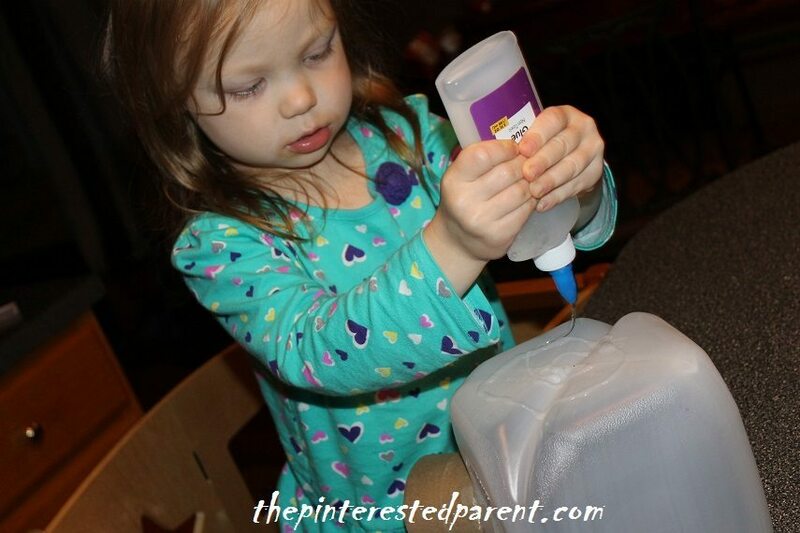 Spread the school glue around the top of the jug. 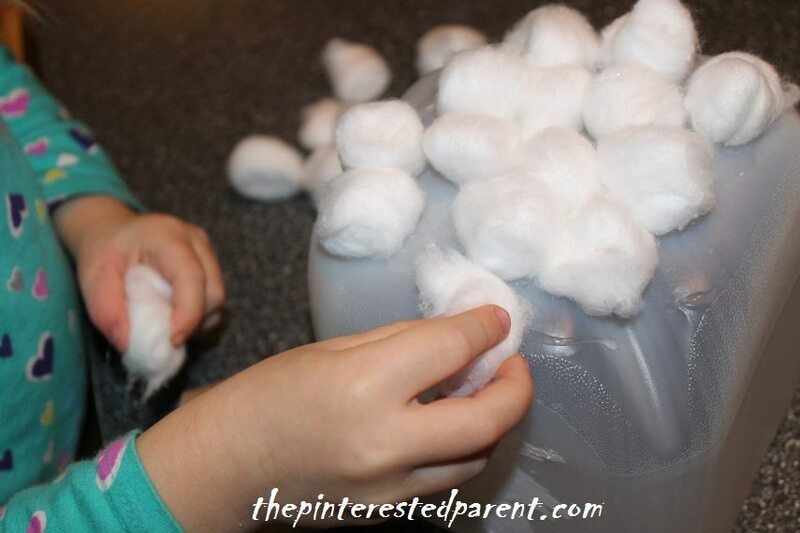 Add cotton balls to the glue. Work on the sides next, gluing & pressing the cotton balls. Cover the paper towel roll as well. 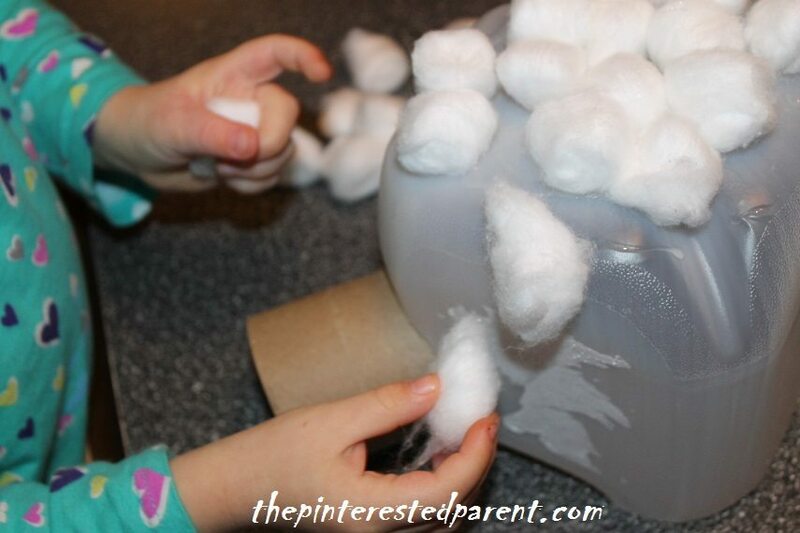 We mounted our igloo to a paper plate for added stability, but it is fine stand alone as well. 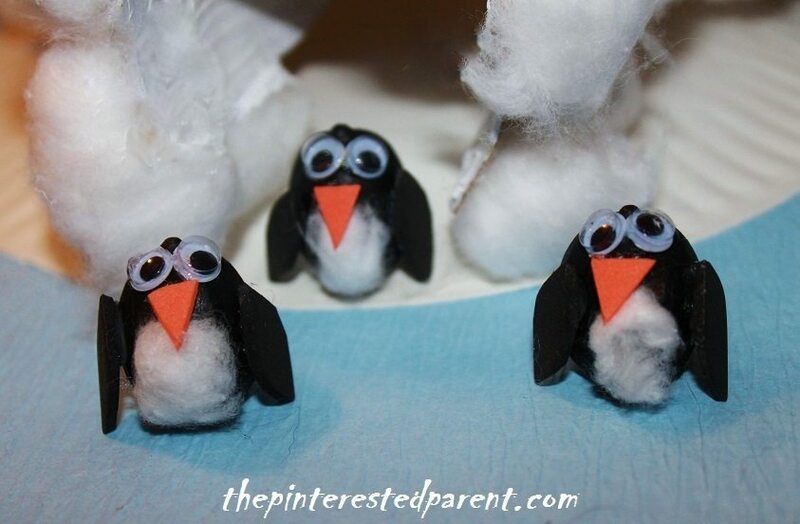 To make our penguins, we painted acorns in black. We glued small bits of cotton to the bottom half of the painted acorns. Cut the penguin’s wings and beak out of foam. Glue these in place and add googly eyes. My daughter loved her igloo. She evicted the pumpkins though & replaced them with some little monster creations that she had made. 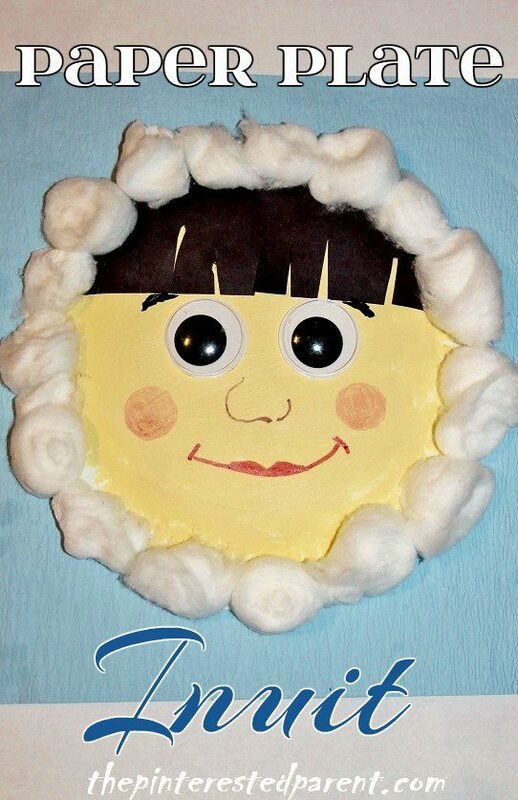 The igloo & the cotton balls inspired us to make one more craft, a paper plate Inuit. 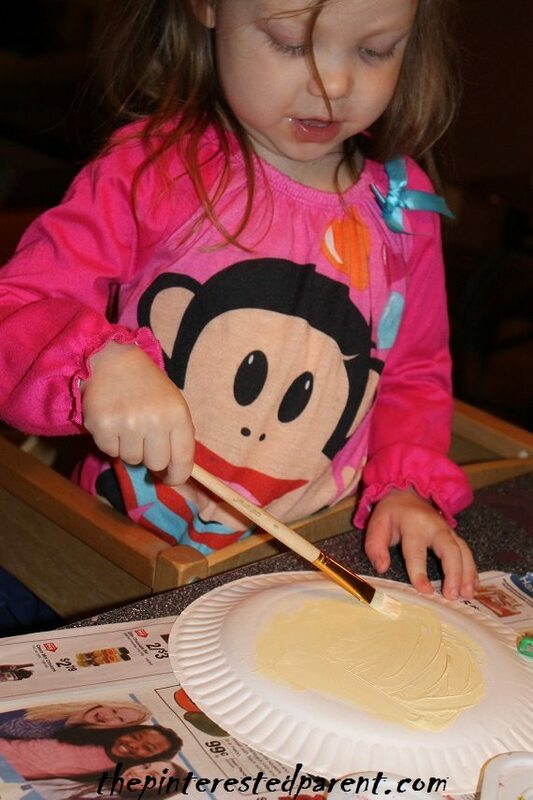 Paint a paper plate in a flesh tone & let dry. 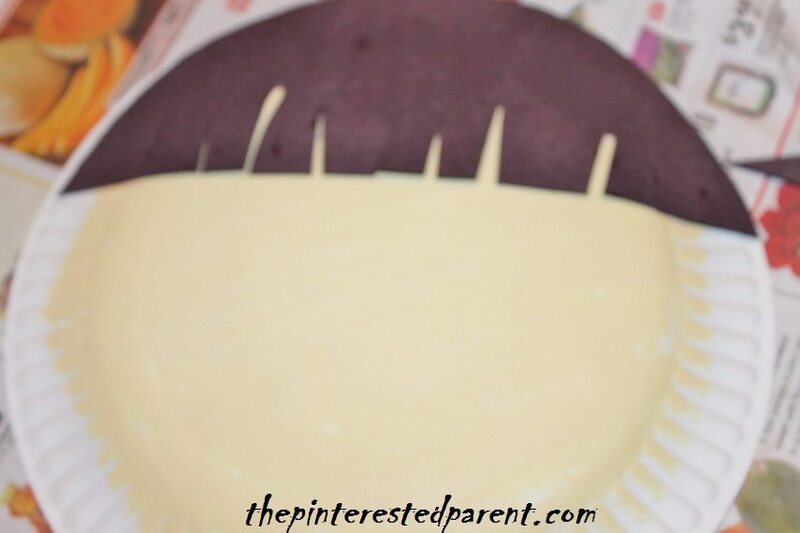 Cut a semi-circle for the hair & cut lines to make bangs & then glue to the top of the plate. 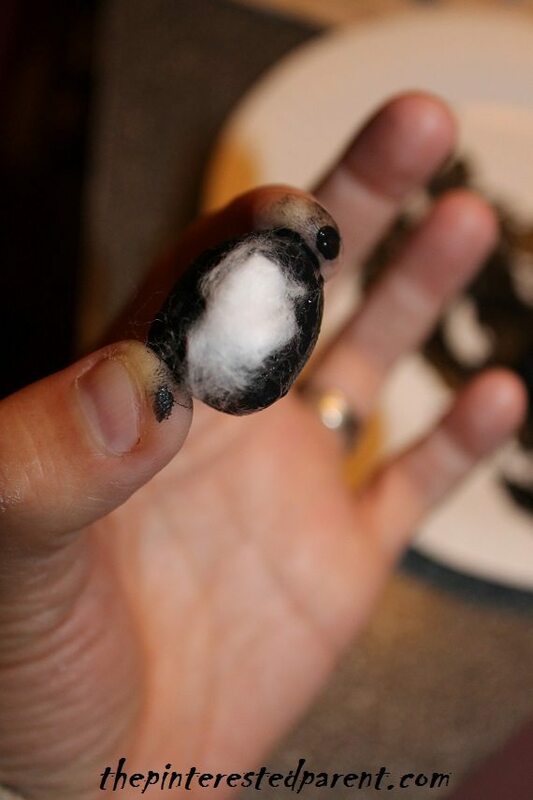 Glue cotton balls all around the outside rim of the plate. 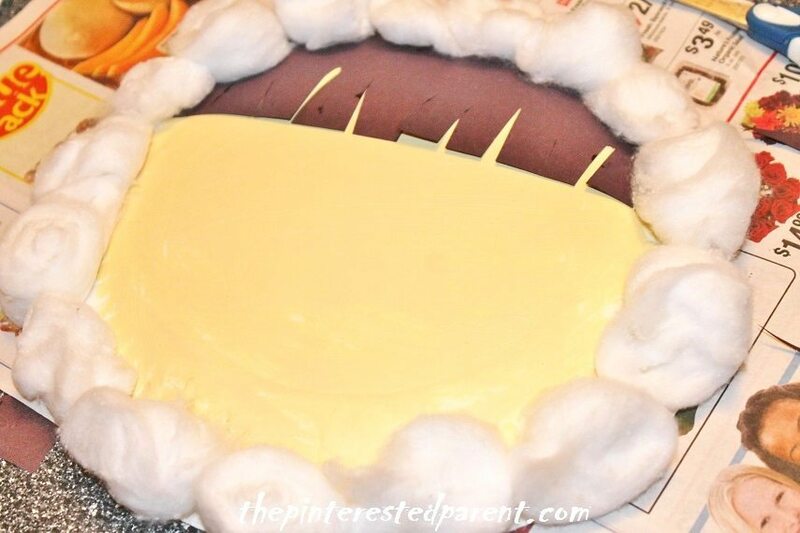 Add googly eyes, a nose & a mouth to finish it off. Absolutely adorable, but admit as much as I loved the snow as a kid not such a fan anymore as an adult. Just one more thing for me to have to clean up and definitely feel like I could live without it though!